What Type of Orange Tree Grows the Fastest? How Long Does it Take to Grow an Orange Tree? How Long Does it Take a Mandarin Orange Fruit to Mature? When Do You Plant Orange Trees? 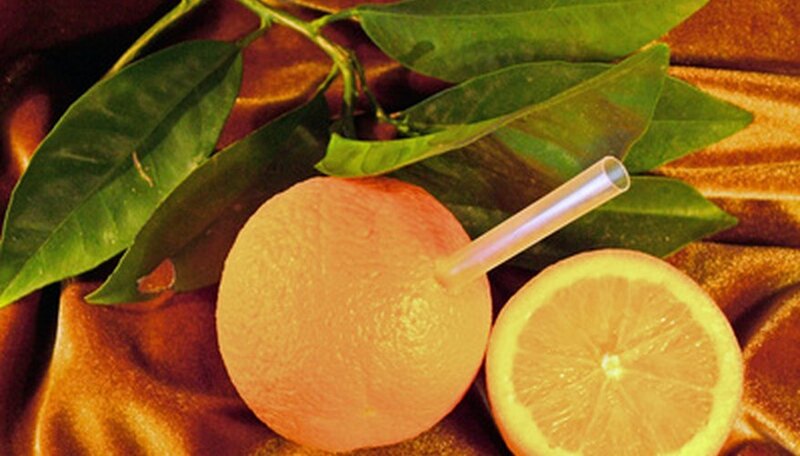 What Is the Origin of Valencia Orange Trees? What Time of Year Do Valencia Orange Trees Flower? Is the Orange a Fruit or Vegetable? What Is the Average Size of an Orange Tree? The fastest grown orange tree doesn't produce edible oranges fit for human consumption. The fruit is green and bumpy and is eaten by squirrels. The tree is actually considered a shrub, with thorny branches, that can reach heights of 20 to 40 feet. The orange blossom's scientific name is Citrus sinensis. The flower falls into the kingdom plantae, division magnoliophyta. The flower's class is magnoliopsida, and its order is sapindales. It is a member of the family rutaceae, genus citrus, and species seninsis. Orange blossom flowers are small and white, with waxy petals. There are five petals and five sepals per flower. Each flower has 20 to 25 stamens in the center, arranged in a compact spiral. Orange blossoms are very fragrant, with a distinct citrus scent. Oranges grow on trees during the fall and winter. The blossoms are produced by the tree during the spring, and each indicates a point at which an orange will develop later in the year. Each spring, blossoms emerge in clusters of up to 6 flowers per cluster. Orange blossoms impart a mild citrus flavor when used in cooking. The blossoms should be used within 4 hours after picking them from the tree, to enjoy the most flavor. The blossoms are used in salads and desserts. Before eating, remove the sepals and stamen. The only state flower that is used to make perfume is the orange blossom. The flower's essential oil is used to add scent to colognes and toiletries. The orange blossom is also used to make herbal tea. Begin working with your nursery tree in its small container. Transplant the tree every spring into a larger pot until it is in a container about the size of a whiskey barrel. Keep the orange tree in a south-facing window during the winter or other cold-weather periods. Move the tree and container to a location where it will get sun all day in mid-spring. Water the orange tree frequently. Soak it as soon as the top 1/4-inch of soil feels dry. Mist the tree every morning and keep it in a large pan filled with gravel and water to create a humid space around the orange tree. Fertilize the tree regularly with a balanced fertilizer. Follow the package's fertilization instructions for flowering plants. Move the potted orange tree indoors in temperatures of less than 45 degrees F.
It takes an orange tree about three years after planting to begin bearing fruit, and 27 years to fully mature. They grow about a foot a year. Inspect the navel orange tree for dead, diseased or damaged wood. Dead wood will be brittle and will not sway with the wind. Diseased and damaged wood will bear physical discoloration or deformity. This wood needs to be removed for the health of the tree. Prune away dead, diseased and damaged wood by cutting it off at the base or cutting it back to a Y-intersection, leaving only healthy wood. In between cuts, spritz your pruning tools with disinfectant spray to avoid spreading bacteria to other parts of the tree. Prune away large branches that cross from one side of the tree to the other. These branches can rub up against other limbs, stressing the tree. They also provide shade to the branches below, which is bad for fruit production. Thin the canopy by removing limbs from crowded areas to allow for better light penetration. Remove limbs that grow vertically and limbs that cross other branches. Snip these off at the base without cutting into the trunk or originating branch. Clip off green juvenile shoots that emerge from branches and the trunk of the navel orange tree. Observe the overall height of the tree. An orange tree reaches an average size of 25 feet high and 15 feet wide. Pick a leaf from the tree and smell it. Orange tree leaves have a sweet, acidic scent. Pick a flower from the tree. 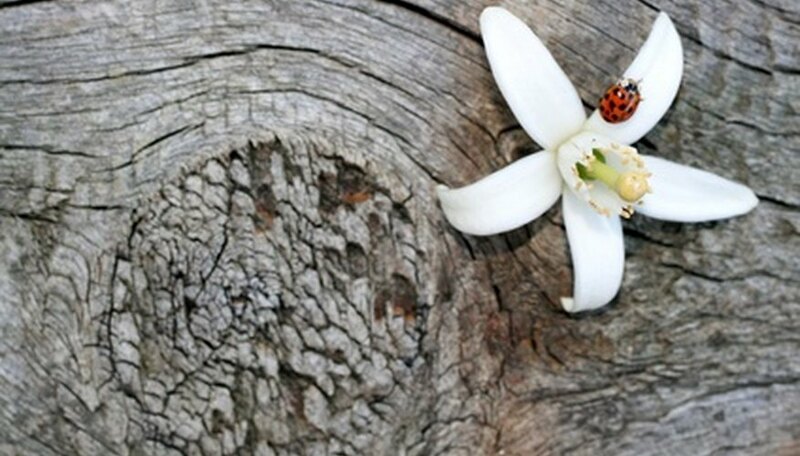 An orange blossom will have five white, oblong petals and be very fragrant. Use a magnifying glass to look at the stamens. Count the number of stamens. An orange tree blossom has between 20 and 25 stamens with conspicuous anthers. Pick a piece of fruit from the tree. 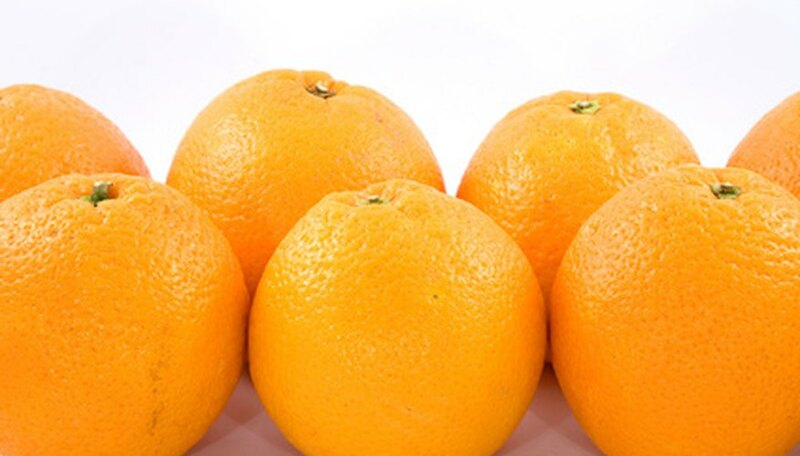 Oranges are orange-colored with thick skins. When the skin is peeled away, there will be yellow-orange pulp inside the fruit that is very juicy. 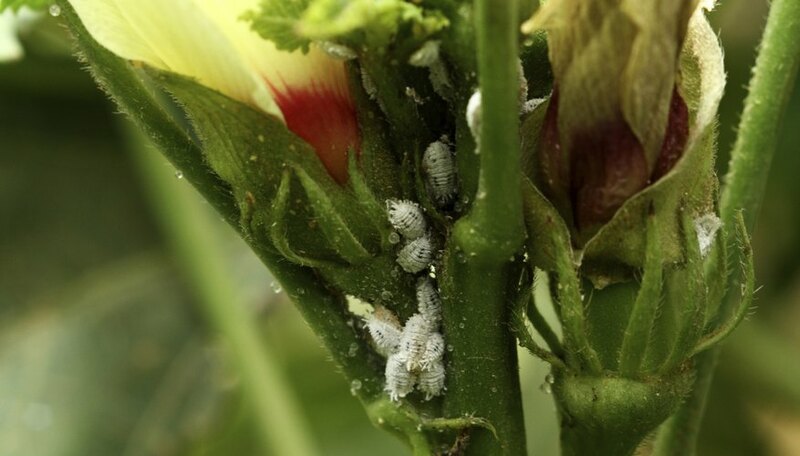 The citrus rust mite is a common pests found on orange trees. This creature will make leaves fall off before they should, and consumes fruit, leaves and the stems found on orange trees. The citrus snow scale is an insect that is known to attack the woody parts of an orange tree. The Florida red scale is another scale insect which will eat fruit and leaves while the purple scale laps up the sap found in orange tree branches and fruit. 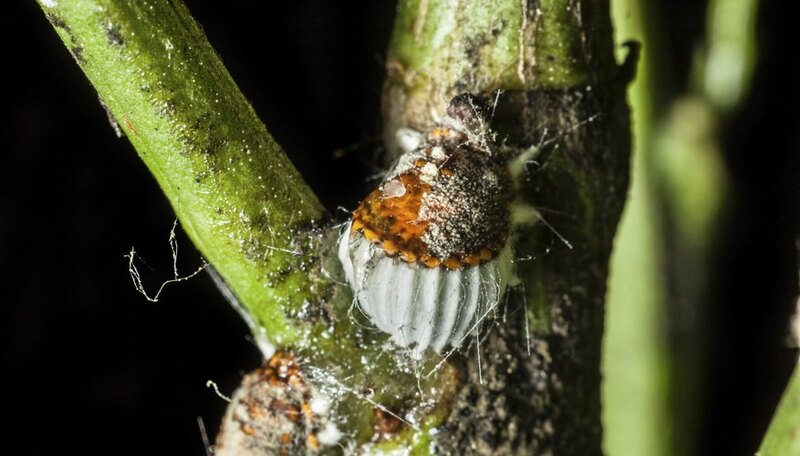 The mealybug proves to be a two-fold threat to orange trees. 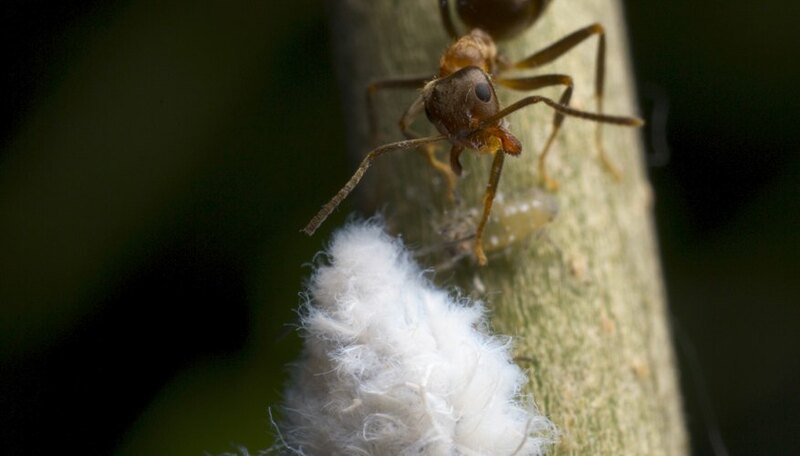 These insects can affect the tree by eating the fruit while it is still developing, and they also produce a substance which encourages the growth of certain fungi that hurt the tree. The larval stage of the whitefly will show up on the underside of orange tree leaves and will devour their sap. 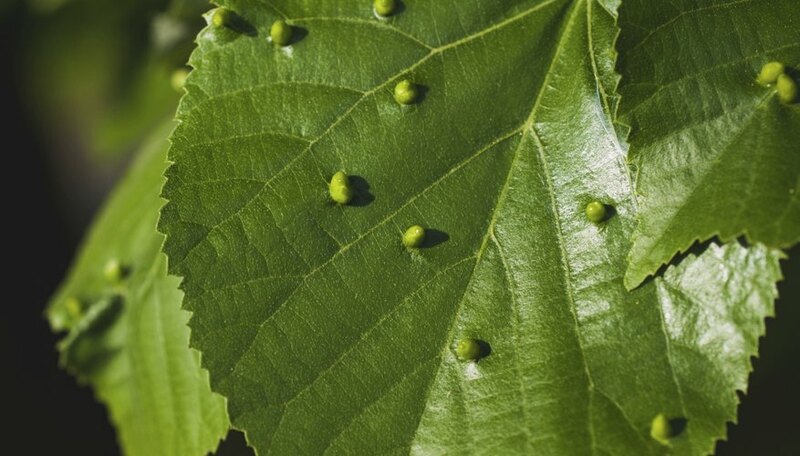 These bugs also make conditions right for a form of harmful mold to establish itself on the leaves. The citrus blackfly, the aphid and the caterpillar form of the swallow-tailed butterfly are also serious orange tree pests. The fruit fly is also considered a pest of these trees, as is the burrowing nematode. Dwarf orange trees need well-drained sandy soil. They need full sunlight but can do well in partial shade, if necessary. Container-grown dwarf orange trees should be repotted every two years. Move the trees indoors when the weather turns cold, and keep them away from drafts. 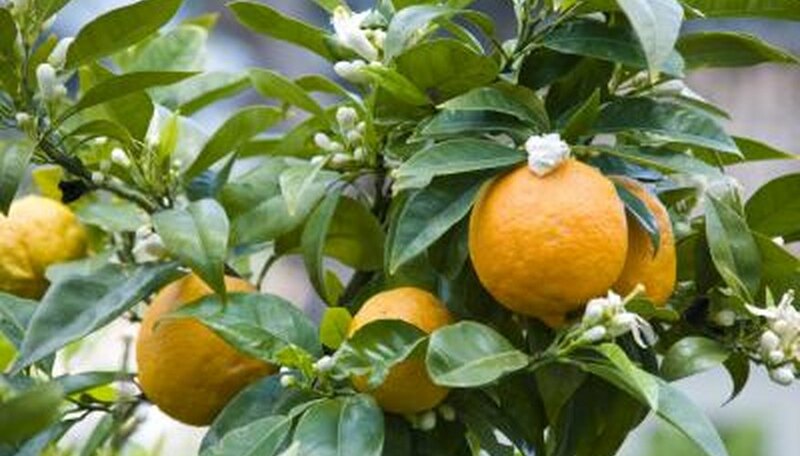 Dwarf orange trees should only be watered when the surface of the soil is dry. They should be fertilized every four to six weeks during the growing season. Pruning off dead branches, twigs and limbs helps the trees produce new growth and stay healthy. Prune as soon as you notice dead or diseased growth, which takes nutrients away from healthy parts, making them weaker and prone to infections. Dwarf orange trees can be attacked by citrus red mites, Texas citrus mites, scale insects, mealybugs, whiteflies and citrus blackflies. Diseases include greasy spot, dieback, stem-end rot, canker and blight. Orange trees can be planted any time. However, it is best to plant in the fall or winter to allow it to become established prior to the hot conditions of summer. 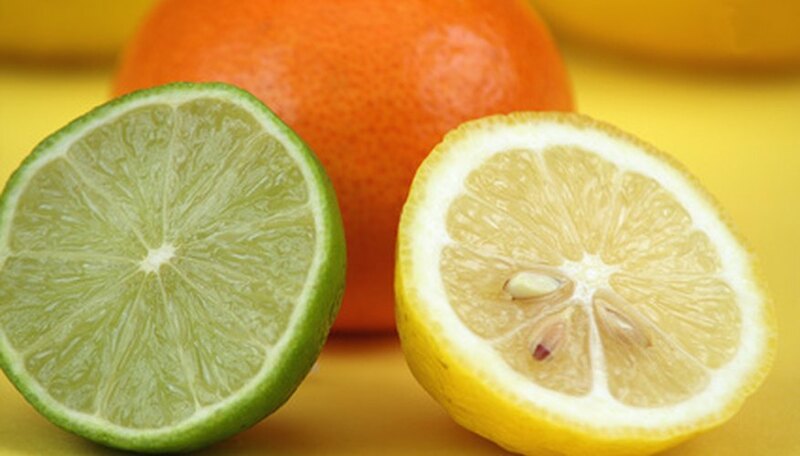 Citriculture is the cultivation of citrus fruit, such as oranges, lemons and grapefruits. 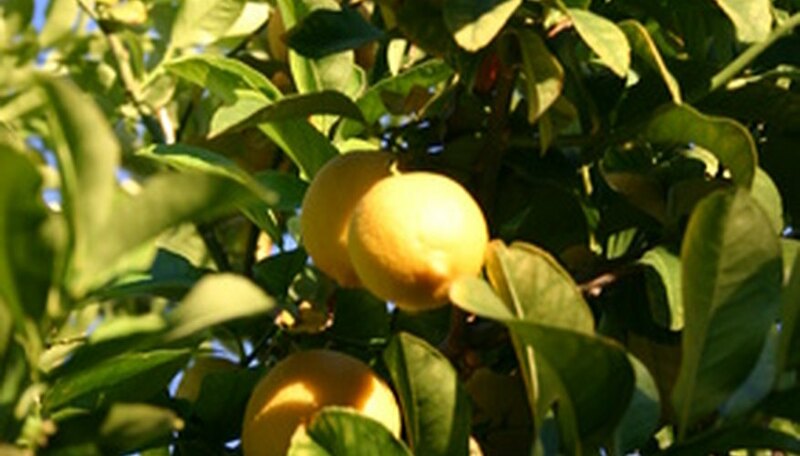 Citrus fruits were grown as ornamental plants in Italy during the first century. The practice of growing citrus trees decreased in later years, but was revived in the 1400s by the Arabs. Historical resources differ on who first transported oranges to Valencia, Spain. Some references say the Arabs or Italians took oranges to Spain in the mid-1400s, while others claim that the Portuguese were the first to take oranges to Spain in the 1500s. By the 1600s, people were beginning to use oranges for medicinal purposes and as food. Wealthy home owners in Valencia grew orange trees in their gardens, or in orangeries--conservatories built especially for citrus trees. Spanish conquistadors carried orange seeds to the New World in the 1600s, which led the establishment of orange groves in Peru and Chile. Later an Englishman, Thomas Rivers, transported orange trees to Florida, where many orange groves were already established. Valencia orange trees are the most commonly grown orange trees in the world. They are grown in the Far East, the Mediterranean, South Africa, Australia, South America and the Caribbean. The United States leads in the production of oranges, with Florida, California and Texas as the top producing states. Wait to prune a Mock Orange tree until all the tree’s flowers have bloomed and slightly wilted. Do not prune the Mock Orange tree after the last day of July, since the tree goes into dormancy in August, advises the Garden Seeker. Hold freshly sharpened pruning shears at a 45-degree angle to each tree branch for cutting. Prune one-third of each currently flowering branch. The tree may look a little thin, but new growth comes back for next year’s blossoms. Cut one-third of the old branches out of the Mock Orange. Prune them close to the tree trunk. Old branches are thicker in diameter and harder in texture than the current year’s new growth. Water the base of the tree with 1 to 3 inches of water (until the ground is wet, but not soggy). Prune your Mock Orange tree every year. Yearly pruning increases plant bloom volume and encourages new growth, according to the University of Illinois Extension and the Garden Seeker. Gardeners sometimes feel they are butchering the Mock Orange by pruning it, until they see the new growth shoots and increased bloom volume the following year. Prepare a bucket of 3 parts water and 1 part bleach for cleaning your pruning tools between cuts. Remove any dead, damaged or diseased branches from the ornamental orange trees. Dip your pruning tools in the bleach and water bucket between each cut of diseased branches as to not spread the disease to the rest of the tree. Remove any suckers, water sprouts or crossing branches at the base of the branch. Prune back any over reaching branches to maintain the bushy shape and size of the ornamental orange trees. Valencia orange trees will flower in May, but if grown indoors they can flower throughout the year, even in December. Lightly prune Lewis' mock orange in the early spring. Lewis' mock orange should be lightly pruned of dead branches to keep its shape and promote new growth. Dead branches will accumulate at the bottom of the bush, and can be removed gently with your gloved hands. If these branches do not come off easily, leave them in place on the bush. Clear all dead growth from the ground area around the Lewis' mock orange every year. This will allow for better soil absorption around the plant. Prune all old branches every three years to make room for younger branches. Using pruning shears, snip away 1/4 of the older, more mature branches to expose newer branches to the sun. Take care not to trim away any new branches, which will appear shinier and greener. Trim carefully to keep the desired shape of the Lewis' mock orange. Depending on where the plant resides in the garden, you may want to trim away excess branches every year to make room for other plants. Clear away all clippings and discard them, or chop them up to use as mulch in your garden. 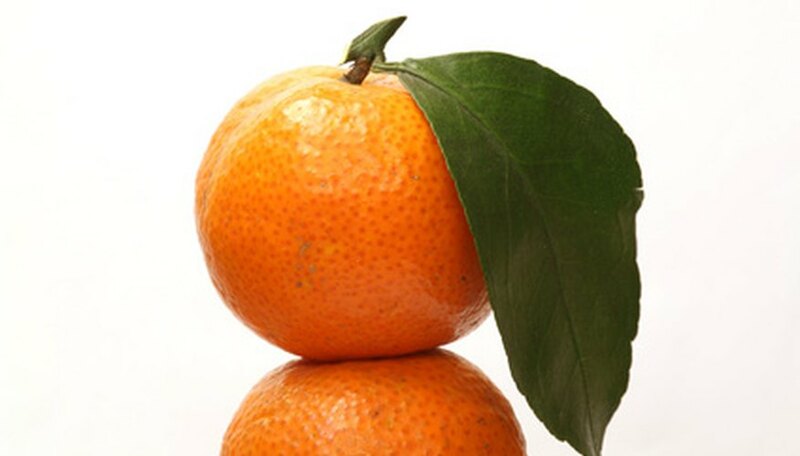 The orange is a citrus fruit produced primarily in the states of Florida, California, Texas and Arizona. The orange can be eaten in a variety of ways, including peeling and eating it raw, combining it with other fruits such as bananas and pineapples to make fruit cups, extracting the juice for drinking or used as a garnish for other dishes. The average size of an orange tree varies based on the species, planting environment and overall care. Most orange trees average between 25 and 50 feet with a rounded crown, according to Purdue University. Can Orange Trees Have Ripe Fruit & Flowers at the Same Time?